Product prices and availability are accurate as of 2019-04-17 11:47:39 BST and are subject to change. Any price and availability information displayed on http://www.amazon.co.uk/ at the time of purchase will apply to the purchase of this product. Elixirs are said to give life to those who need it, if fantasy fiction is to be believed. 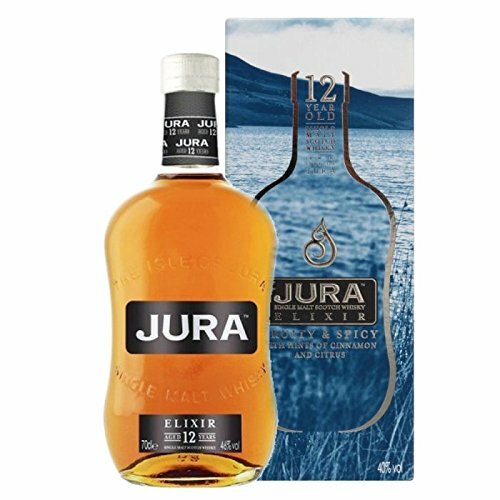 While we don't think this Isle of Jura 12 Year Old Elixir has any magical properties (in fact, we're sure of it), that doesn't stop it from being an utterly fantastic release from the island distillery. Plums make their return for a sweet, medium finish.